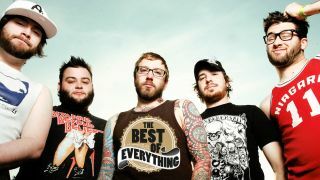 This Summer, Canadian giants Alexisonfire step out of retirement for a set of reunion shows. The first of which was Heavy Montreal where they played their first gig in three years. But after all that time apart were the guys apprehensive about the appearance? According to guitar player Wade MacNeil, maybe a little bit.